Datarecovery.com has always had a profound respect for members of our country’s military, and we have regularly provided data recovery services for the U.S. Army for more than a decade. We recognize that data loss can have major ramifications on bases or in active combat zones. When files go missing, we’re there – our case options give members of the military a superior set of resources, and our teams can safely recover data from virtually any type of system. 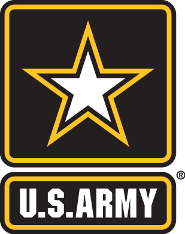 As a GSA-approved data recovery company (#GS-35F-0115W), we are proud to offer complete solutions for our Army customers. Our dedication to security and technology development separates us from our competitors, and we provide every branch of the military with fast turnaround times and competitive, case-appropriate pricing. Click “view letter” to read real feedback from one of our U.S. Army cases. For a quote, call 1-800-237-4200 or fill out our online form.